My name is Maitane Hollenbeck and I’m a Basque-American. My mom was born in Bilbao, Basque Country, and my dad was born in the United States. Because of this, I have the opportunity to experience different cultures, traditions, and lifestyles every day. This allows me to compare and contrast the people, food, ways of life, and everything in between from those two countries. 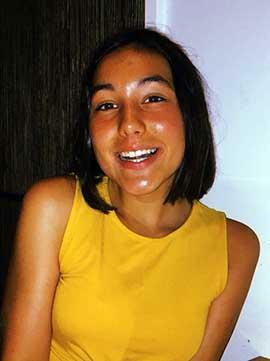 My name is Maitane Hollenbeck, a 13 year old Basque-American living in Boise. I love fashion and writing, playing with my dogs and hanging out with my friends. My dream is to be a writer and editor when I grow up.